PODCAST: How Have Patriots Remained Great? 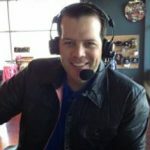 Mike Ginnitti from Spotrac.com joins Kevin and Paul to talk about how the Patriots have been able to maintain greatness and manage the salary cap. The guys also talk about someone that doesn’t get enough credit for the Patriots success.